Marc Samuel, fleet sales operations manager at Honda UK. Glyn Hopkin Honda has become the 100th dealership to sign up to Honda’s Platinum Programme. Relaunched last year, the scheme aims to increase the volume of fleet sales and aftersales driven through Honda’s 163-strong UK dealer network and provides bespoke training for all dealer principals, sales managers and sales advisors. This enables them to offer fleet customers face-to-face support, ranging from which vehicle is best for their mileage, through to taxation or contract terms. 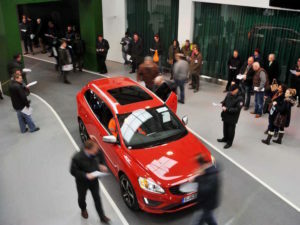 The programme also offers corporate customers a 48-hour test drive. Brake has revealed the finalists for its 2017 Fleet Safety Awards, including a number of household names. 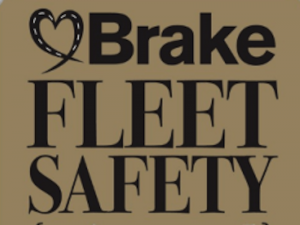 Brake has revealed the organisations that have made it through to the final stage of its Fleet Safety Awards 2017. This year’s finalists include household names such as FedEX, Royal Mail Group, and British Gas, as well as smaller companies including TMJ Interiors, AbbVie and Reflex – see here for the full list. The winners will be crowned at the Hilton Birmingham Metropole on Thursday 28 September 2017. The new Autoglass Advanced Driver Assistance Systems (ADAS) calibration site in Coventry is the latest addition to the company’s national network of 30 static facilities. 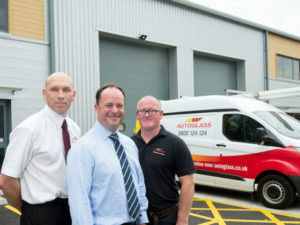 Autoglass has opened a new calibration centre for Advanced Driver Assistance Systems (ADAS), located in Coventry. Situated close to the airport retail park, the facility brings the total Autoglass network of static calibration sites to 30 following the launch of the first site in 2015. Autoglass plans to have a total of 45 calibration centres operational over the next year, complementing the company’s UK-wide mobile calibration service. Aston Barclay’s new Buyer App is the first in a series of new digital developments intended to revolutionise the remarketing industry. Aston Barclay has launched a new Buyer App as part of a series of new digital developments. Free to download on the App store in Android or IOS format, the app makes it easier for buyers to find used stock and will be followed in December by a Vendor App that will enable vendors to send video message offers and promotions. Meanwhile, digital pods are being installed in the auction halls, the first in July in Westbury, to enable buyers to search for stock from across the group and to check on provisional bids. Other digital initiatives include the installation of ‘Mega’ screens at auction sites as well as digital pods to enable buyers to search for stock from across the group and to check on provisional bids. The Fringe agenda for the National Road Safety Conference will include a presentation on work-related road safety. Local authority teams at this year’s National Road Safety Conference will be able to find out more about work-related road safety and the latest tips and strategies for engaging with businesses on the issue. 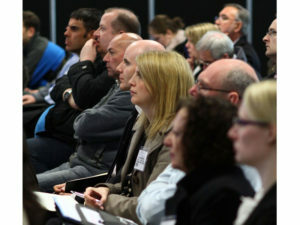 Taking place on 14-15 November at the Radisson Blu Manchester Airport, the event’s Fringe agenda will include a presentation from Paul Leatherbarrow, road safety officer, Wirral Council, who plays an instrumental role in the local authority’s ‘Mind Your Business – Road Safety at Work’ project. 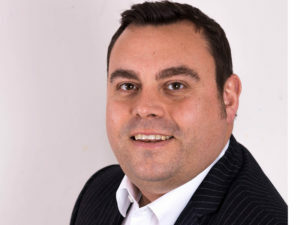 Also speaking at the event will be Glen Davies from the Fleet Operator Recognition Scheme (FORS), who will look at the vital need to raise road safety standards throughout public procurement. The Admiral research finds some airports charge three times more for comparable parking. Drivers can pay up to three times more to park at some airports in the UK, new research finds. 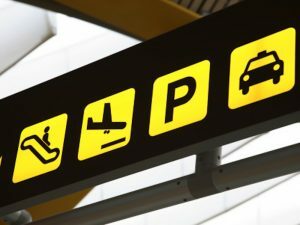 The analysis by Admiral found that Luton Airport topped the list of parking charges, with a two-week stay at their standard on-site car park coming in at £191. By comparison, the equivalent car parking space at Exeter Airport cost £65 – a difference of £126. The second most expensive UK airport was London City at £181, followed by Gatwick Airport. Admiral also found price discrepancies between different terminals at the same airport, with a stay at Gatwick North costing £175 compared to a bill of £167 at Gatwick South. And at Heathrow, while a stay at Terminals 2, 3 and 4 is priced at £146, drivers will pay £10 more if they park at Terminal 5 (£156). A total of 62% of local authorities have cut their roads spending for 2017/18 despite the fact that parking revenues are expected to rise. 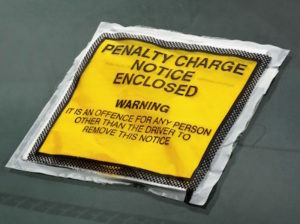 Councils across England have cut their funding for roads maintenance, street lights and school crossing patrols for 2017/18 despite the fact that revenues from parking tickets are expected to significantly rise. AA analysis of 363 local authorities found 62% have slashed their budget, with spending on roads maintenance to fall by an average of £900,000 among those councils affected. Skyline trialled a 24kWh Nissan LEAF for a four-week period but decided to wait for the 30kWh model. 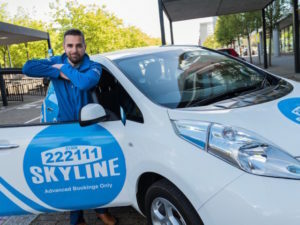 Skyline Taxis has deployed four EVs for operation in Milton Keynes with the help of the local council. The taxi firm has invested in one Nissan LEAF and three Tesla Model S 75D cars, part-funded by the Government’s Plug-in Car Grant. The move follows a pilot scheme in 2015, which saw Skyline trial a 24kWh Nissan Leaf for a four-week period – although the vehicle was well-received by customers and drivers, the company took the decision to wait for the release of the 30kWh Leaf, saying that the fewer charges and a longer range would significantly improve the drivers’ experience and earnings.